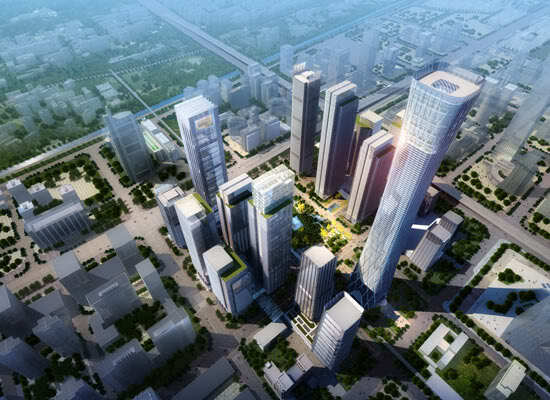 The Construction of Beijing’s Tallest Building Begins. Construction has started on Beijing‘s tallest skyscraper, set to rise 500 metres and shaped like a vase, the state-owned CITIC group said Tuesday. The building is the latest in a surge of ambitious construction projects in the Chinese capital, which along with other cities in China is attracting cutting-edge international architects keen to push design boundaries. 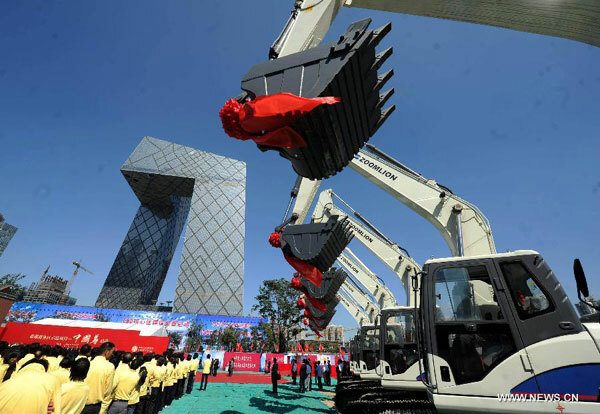 A groundbreaking ceremony on the planned 500-metre tall China Zun tower, named after a type of traditional Chinese wine vessel, took place in Beijing Monday. The state-owned investment giant said the tower would be both its office building and a tourist attraction. It would feature the latest energy-saving technology, and the top floor would encourage sightseeing from a platform and have a cafe with panoramic views. Online pictures show a slender glass and steel structure that appears to have an observation platform on the roof and a central atrium at the top of the building. 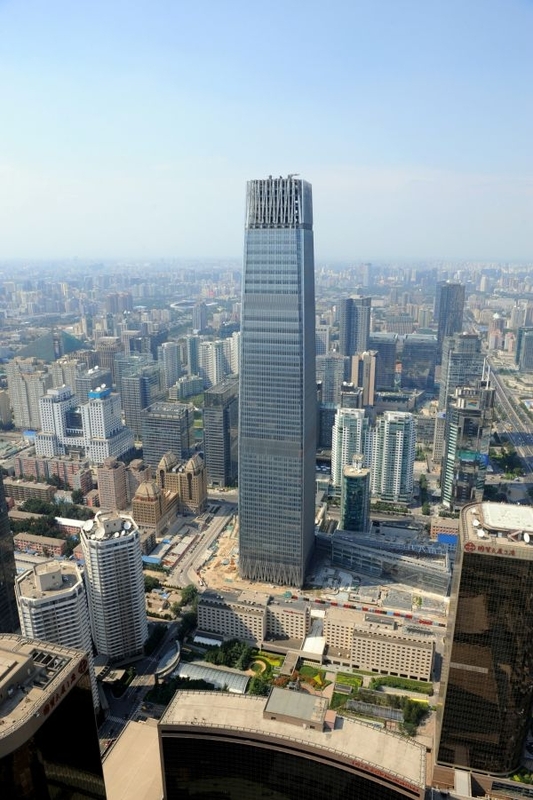 It will be built just a stone’s throw from the 330-metre-tall China World Trade Center Tower 3 (pictured below), Beijing’s current tallest building.